Things may looks original superficially but then when you have a closer look, you will find that its not so. Yes, the same holds true for these paintings that I have included here. 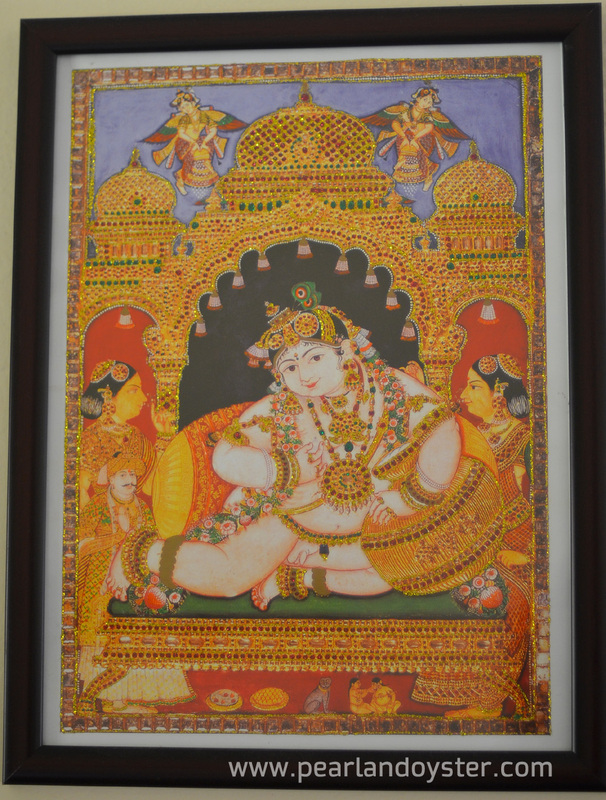 It looks like a typical Tanjore painting but the reality is that, only the sketch is Tanjore style and the embellishments are just ordinary glitter paints, not gold. 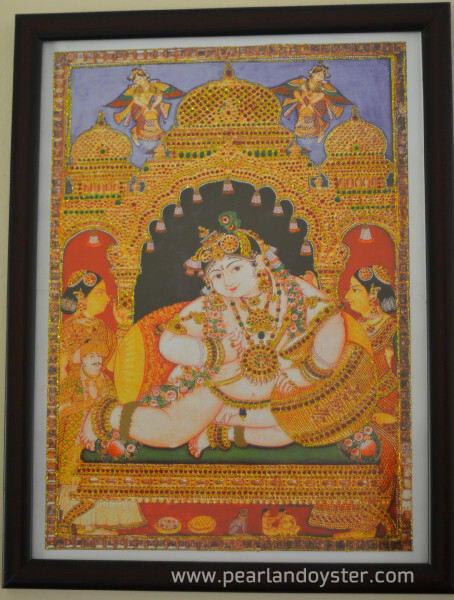 Recently I had visited a bookstore that was closing down and found some sheets of tanjore painting sketches lying pitifully on the floor. 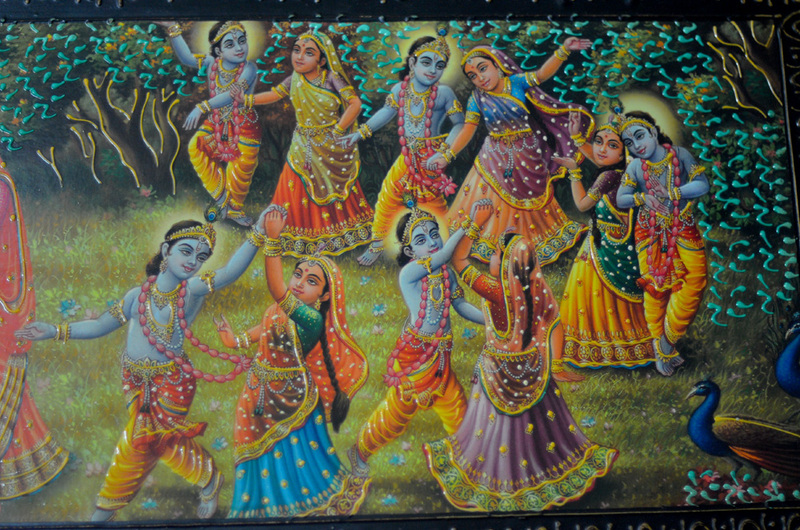 As an art lover I couldn’t bear the sight of our age old art thrown with the thrash and so decided to bring them home. Initially I did not have a clue as to what I was going to do with them but eventually made a place for them in the wall of fame. I have seen a number of Rajasthani artwork where they use outliners to enhance the look of a painting. 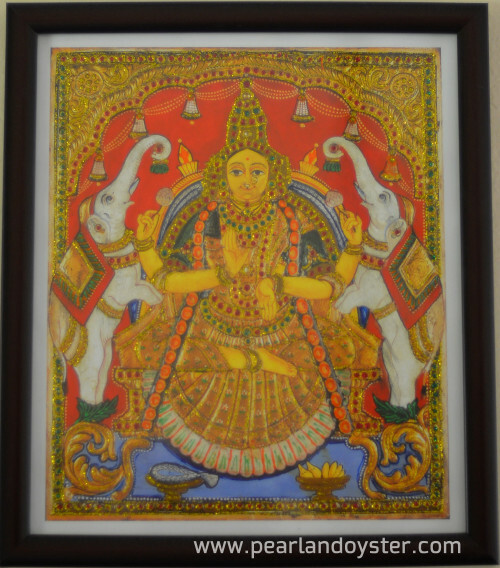 I adopted the same technique on these Tanjore sketches and replaced gold and the original kemp gemstones with gold, pink and green glitters. Well, the effect was far from being original but then for a person like me who is not skilled to do the traditional tanjore art, the outcome was very much satisfying 🙂 May be one day when I master the art of Tanjore painting, I will be able to appreciate the amount of dedication and the richness that goes into the making of an original piece. Next story Beautiful jars to grow your money!! Previous story Colours On Canvas !